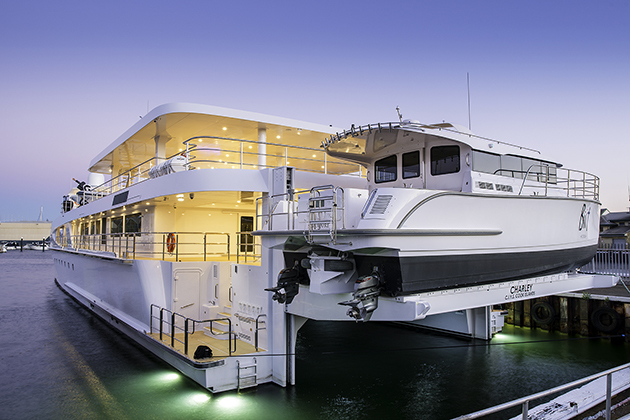 The shadow vessel is built in composite and will support White Rabbit Golf, the largest superyacht ever built in Australia. 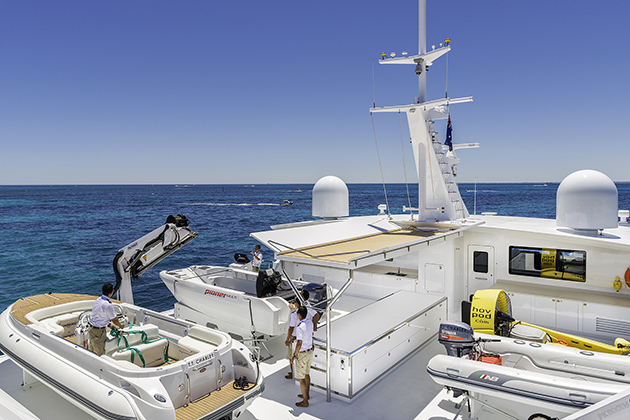 Charley features naval architecture from LoMocean, and is the largest composite resin infused vessel built in Australia. The purpose of the yacht will be to act as a support vessel to the 84-metre White Rabbit Golf, also in build at Echo Yachts and due for delivery in early 2018. 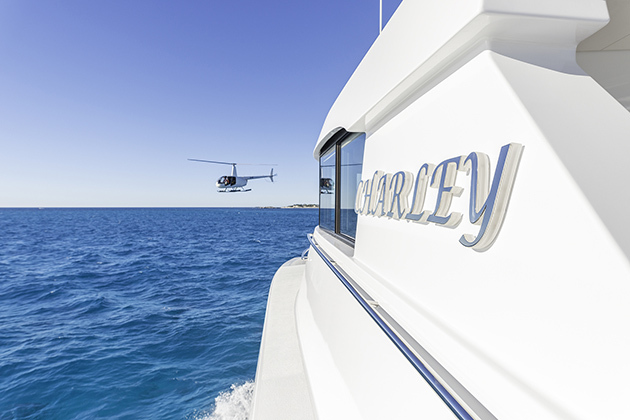 Charley has spacious accommodation and entertainment areas, and a large capacity for tenders and toys. 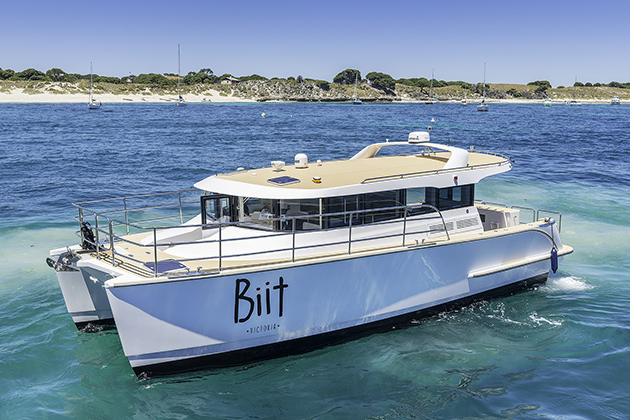 On the stern there is a custom 12-metre carbon fibre catamaran tender, which is winched in and out of the water via a specially-engineered platform. There is a touch and go heli platform, a dive store with decompression chamber and even specialist sonar equipment for underwater exploration of wrecks. Now that Charley has been launched, the shipyard will focus on White Rabbit Golf, designed by Sam Sorgiovanni, which will be the largest trimaran superyacht in the world. 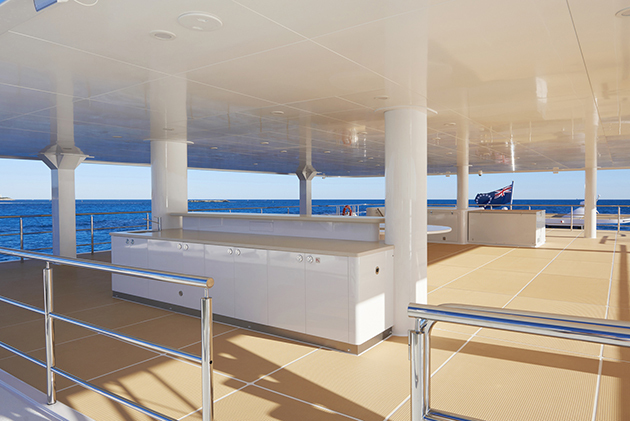 It will also be the world’s largest aluminium superyacht and the largest superyacht built in Australia.